What - A day of easy rock climbing and rappelling, and learning! Why - Because climbing is the best. 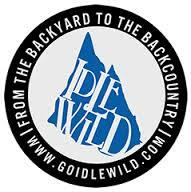 How - Idlewild Adventure Company is providing an AMGA certified guide, all of the necessary equipment and will answer any questions you may have in advance of the event! The cost is $25 for each climber. Limited to 12 participants! *This course will be distinctly different from our spring outing; we will learn climbing knots, safety checks, climbing signals and we will be climbing in a different area of the park.